I first visited Gin Long Canteen nearly two and half years ago. It still how I remember it with the neon signs, the wooden furnishings and the mosaic tiled bar. One thing that has changed since my previous visit is their menu. A good selection of small plates, larger dishes and salads, all at reasonable prices. The food is a modern twist on old Asian favourites and I was certainly looking forward to what was on offer. 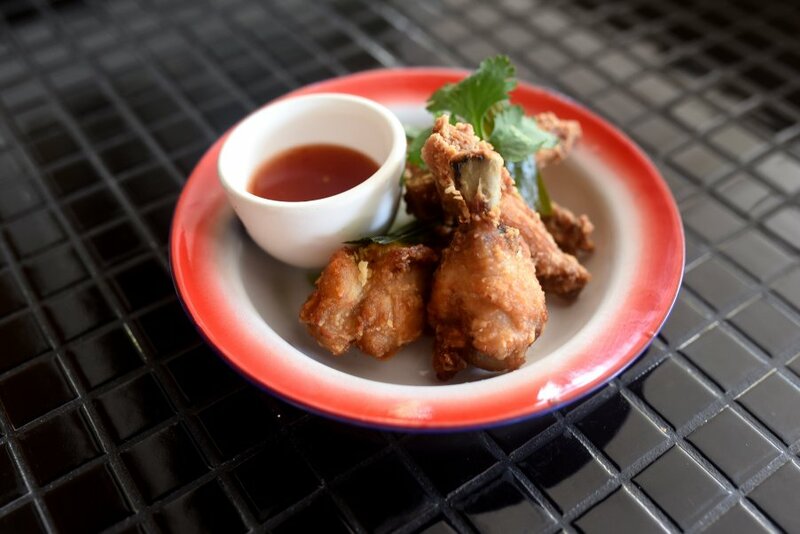 For starters, I had the Gin Long Wings. The wings had a nice crispy coating, and the chicken was juicy and succulent. I particularly liked how they removed one of the bones from the mid wing section. Easier eating and perfect with the hot Thai sauce. Next was the Pomegranate Chicken. A generous sized piece of chicken thigh was used. The meat was tender and succulent with a distinct satay flavour. The skin was crispy and the chicken would have been perfect all by itself. 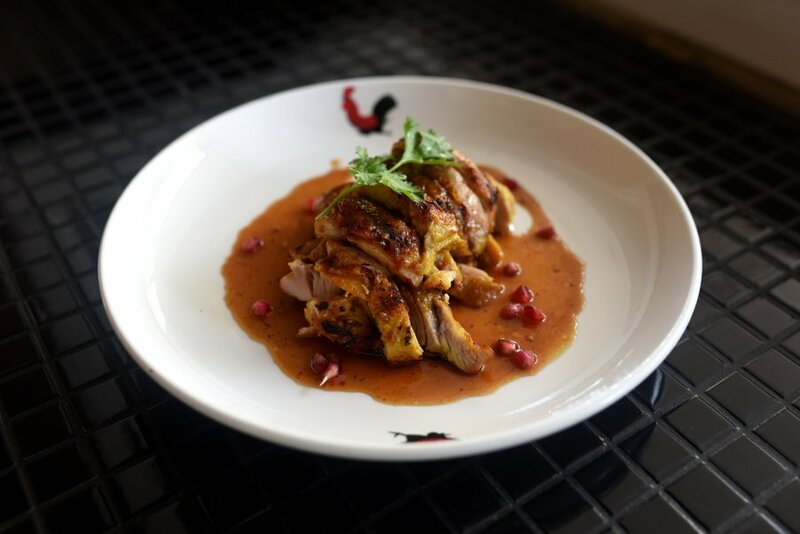 Having said that, the spiciness of the chicken was well complimented the sweetness of the tamarind and pomegranate. Lobsters are expensive and rarely do I see it on a restaurant menu. 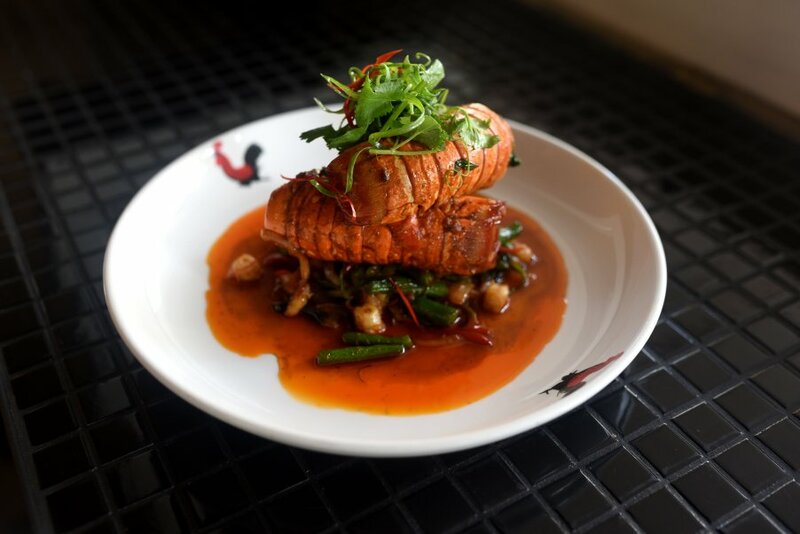 Gin Long Canteen caters for those with expensive tastes by offering Baby Lobster Tails. The lobster was juicy and perfectly cooked. The XO sauce was well infused into the meat and each bite was an absolute delight. The long beans were nice and firm, and the diced prawns added extra protein, but clearly the lobster was the star of the show. 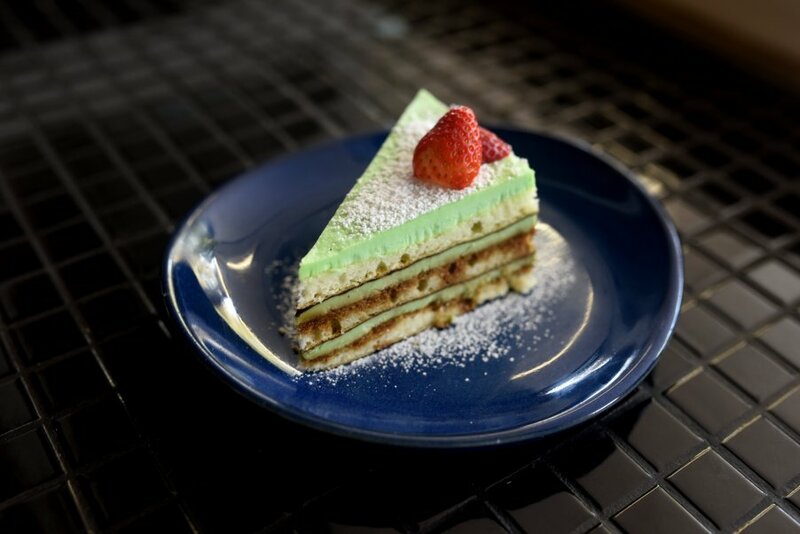 No meal is complete without dessert and today I had the Pandan Tiramisu. The presentation was perfect and I can’t remember the last time I saw such a perfectly composed tiramisu. The top layer was a rich and decadent pandan icing. Below were layers of light and fluffy sponge cake and strong flavours of Vietnamese coffee. A modern twist on Asian flavours that are used to create a classic dessert. What an amazing meal! Friends tells me they absolutely love this place and now I know why. My first visit here was above average, but since then they’ve lifted their game. Each dish was perfectly executed, and the atmosphere and service were just as good. I’m surprised I haven’t visited this place more often!